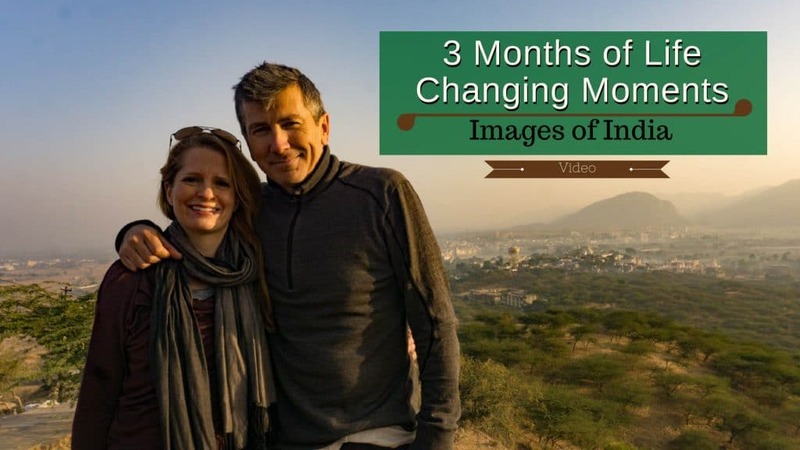 It took us years to finally travel to India. The truth is we needed the patience to handle its intensity. We wanted to be open, with a willingness to accept everything it had to offer. India gave us more than we imagined. I feel culturally enriched after our time there. It’s our experiences were so different than our lives, our visit was better than we anticipated! 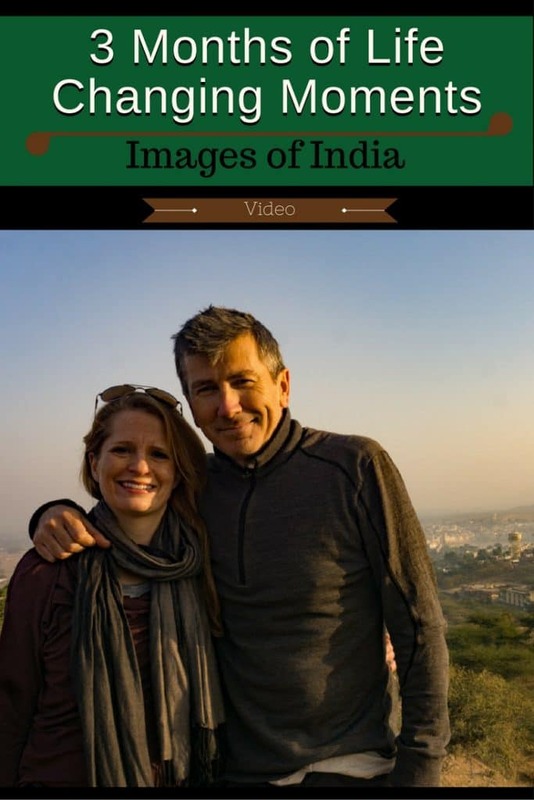 India was a life changing experience for us, and those images of India are fondly remembered in our minds with this video! We started our travels in South India. Our first impressions may be different than you expect! Mumbai – With only 15million people it is bound to challenge your personal space! We quite enjoyed the beach areas, walking tours and endless city markets. Palolem Beach, Goa – Based in Southern Goa, the area that is more quiet, less about partying and more suited to all ages for beach time and relaxation. Hampi, Karnataka – Ancient ruins, laid back lodging, and hippie vibe. One of our favorite spots and a perfect place to stay for a while. – Kochi: The interesting old fort town, where we enjoyed many walks through the alleyways admiring the British/Dutch architecture homes, converted into homestays. – Alleppey: One of the main waterways to jump on a boat and tour the infamous Backwaters boat trip. – Kollam/ Munroe Island: A different entrance to the backwaters, quieter than the extensive waterways of Alleppey, with canoe trips allow the island canals. – Varkala – A quaint cliff top beach destination. Gorgeous views looking over the Arabian sea, great food, yoga, and guesthouses. -Dharamsala Up in the Highlands of Northern India is Dharmsala- We lived there for 3 weeks and experteered on a social enterprise project at Peepal Farm animal recovery center. Mcleod Ganj – Home of the Dalai Lama, up in the Highlands, in a town with a feel of Katmandu, Nepal. Buddhist worship, Tibetan culture, and hiking and views of the Himalayas. Delhi – The large capital city of India – Many treasures to find like Temples, Spice Markets, Shopping and the Arts. Thar Desert– Head out for a night away from Jaisalmer – on a camel trek and nighttime safari in the sand dunes sleeping under the stars. Jodhpur – Northwest city of Rajasthan the backdrop is the towering 15th-century Mehrangarh Fort – once a royal palace and now a museum. The city is dotted with blue houses and colorful markets. Udaipur– The western city in Rajasthan, overlooking Lake Pichola. Beautiful waterways – and the most present, the City Palace. A city of royal history, sunset views over the lake, great shopping and food. Pushkar – The holy city home of the Brahma temple, and Savitri temple – perfect for a morning hike to the top. A bustling city of holy men and locals worshiping at the sacred waters, and the rest of the town abundant with markets, restaurants, and hawkers selling anything you can imagine. Jaipur- The capital of Rajasthan is the home of the immense, Amber Fort – Our favorite fort we visited in India. It’s an in your face kind of city with sights, sounds, and smells, but teeming with royal architecture. Agra – Home of the Taj Mahal – Our stop here was brief, and the goal was to see the mighty tomb of the Taj Mahal and the Red Fort. The Taj took our breath away the first moment we saw it. Varanasi is probably our most memorable and unforgettable visit in all of India. A city where life and death happen all at the same place. Along the banks of the holy Ganges where life and Hindu traditions live together. There are markets, children playing, bathing on the banks, and the cremation of corpses before their ashes are scooped into the waters. Looking for more stories and images of India? We have more posts to share you can find all our India posts here.